Increasing your home’s value is never a bad idea. With that in mind, here are some tips to go about that process. 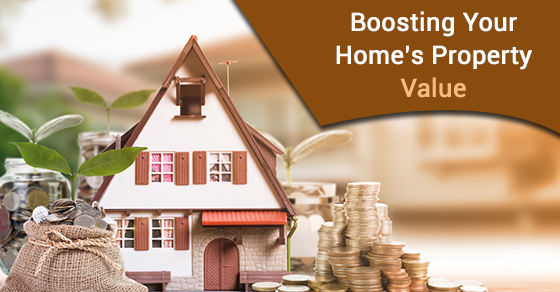 There are many different home projects out there that promise to yield incredible home value. Ultimately, there are smart investments (such as kitchen remodels) and not so great investments, as you will see below. Smart home projects are ones that are supported by actual data and will be backed by just about every real estate agent out there. The leading way to boost your home’s property value – the method you will see over and over – is to remodel your kitchen. Remodeling Magazine found that even a minor kitchen remodel can generate a return of 83.1%, the equivalent of $16,716. Major kitchen remodels can also generate significant returns. In terms of what to focus on in your kitchen remodel, you want to aim to replace outdated cabinetry for more traditional options like wood and choose traditional countertop options like stone. Replacing your kitchen sink and faucet is another way to generate value. One of the best ways to increase the value of your home is with kitchen renovation services. These will give you the most bang for your buck in terms of the execution of your kitchen remodel. Bathroom renovations are typically next on the list of things you can do to boost the property value of your home. After all, they also generate a significant return on investments. If you are looking to increase your home’s value, don’t overlook smaller home projects. Even painting the walls can improve the property value of your home, especially if you remove any existing wallpaper. Part of boosting your home’s property value is avoiding renovations that aren’t likely to generate a lot of value. While you can certainly add a pool to your backyard if you’d like one, swimming pools don’t add any value to your home. In fact, not only do they not add value, they can decrease the value of your home. The same holds true for making two bedrooms into a bigger one. In addition, a sunroom tends to be a bad investment that doesn’t result in a lot of return. If you are in need of kitchen renovation services, Brothers Plumbing has been the leading choice for remodels in Toronto. We have over 50 years in the industry and offer affordable rates. Contact our team of experts today.